Séamus Miller with the rocket ship. Photo by Tia Shearer-Bassett. We are thrilled with the enthusiastic response to Space-Bop, including this lovely review from Our Kids. If you would like to see it, visit our friends at Arts on the Horizon. Meanwhile, here are a few photos of the rehearsal process. 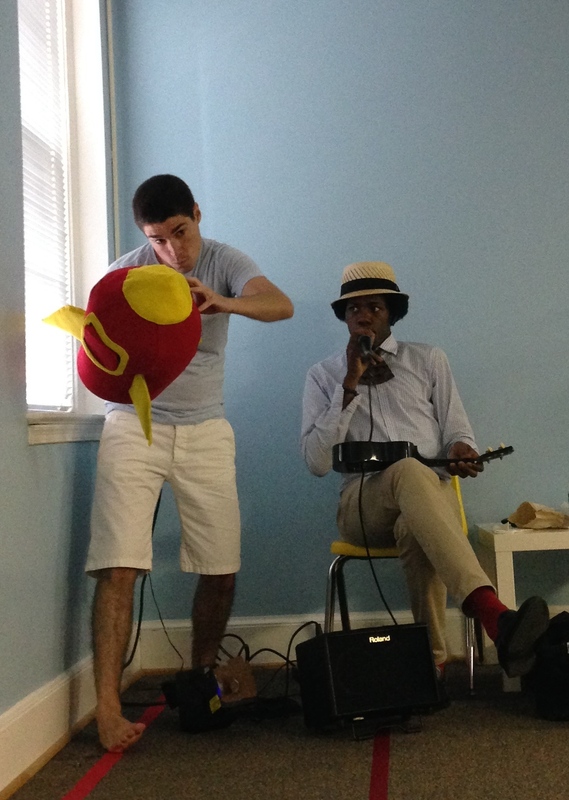 The cast is Séamus Miller as the performer/clown and Christylez Bacon as the musician. Workshop moment with a rocket ship! Photo courtesy of Arts on the Horizon. Along with the Capital Fringe Festival and our one-night revival of Saudade, this summer was spent working with our friends at Arts on the Horizon to workshop a new baby-theater show called Space-Bop. It stars a clown and musician who travel into outer space, encountering planets, stars and space creatures. Among the objects we created for them is a colorful rocket ship, a tiny astronaut and a pet star. One of the challenges of this show was coming up with ways to make objects light up, since light and darkness is important to our ideas of outer space and bright lights are engaging for very young audiences. It was very gratifying at the workshop performances to hear tiny voices say “How does it DO that?” As we look ahead to the full production this winter, we are pulling inspiration from other environments to add to our imagined idea of this space-world. One big inspiration for our work on this piece was the Australian puppet show The Adventures of Alvin Sputnik. Strangely enough, there are many connections to be made with underwater adventures and outer space. Other sources for visuals include classic moon landing photographs, early cinema such as this gem from Georges Melies and vintage design featuring rocket ships. We will post more process photos as we continue working and if you have a little one or just like wordless theater, be sure to put the show on your calendar for February. 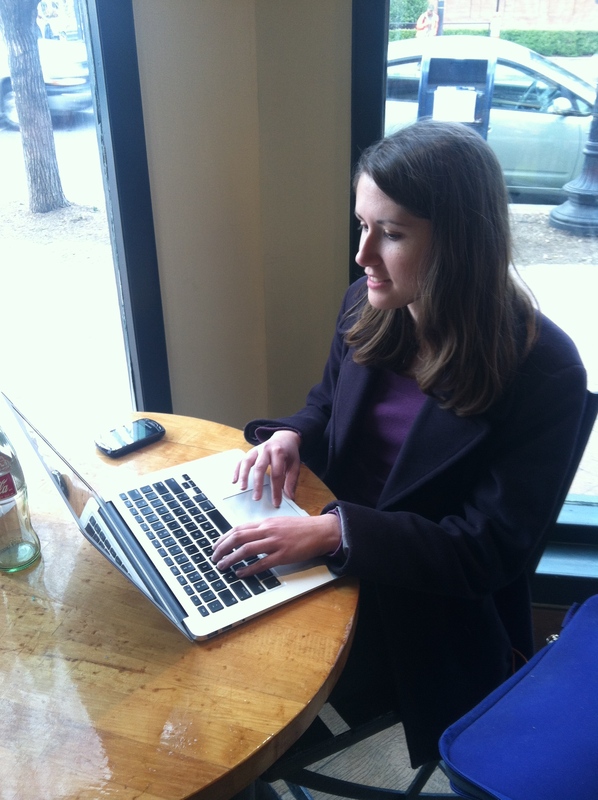 Ana Cackley is a rising senior at the University of Virginia. She is an English and Drama major and served as dramaturg for the initial workshop of MALEVOLENT CREATURES this summer. Here are some of her thoughts on being in the rehearsal room for the piece. Ana researching on her ever-present laptop. When I got asked to be the dramaturg for Wits End Puppets’ devised piece Malevolent Creatures, I was both thrilled and terrified. I’d never worked as a dramaturg before, let alone on a devised piece of theater. I had absolutely no idea what to expect. The only thing I really had to go on was that it was then called “The Fairy Project” — and fairies are a subject that I can and will research happily for any length of time. The sheer creativity of the project — a theater piece devised around the ways that humans interact with fairies, or mythological creatures — grabbed me instantly, along with the excitement and eagerness of the other researchers in the beginning stages of development. 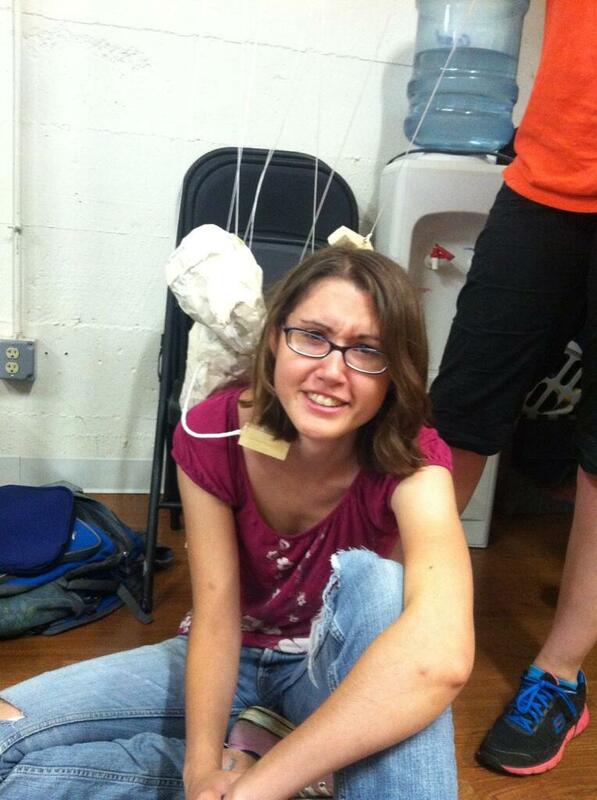 Ana getting attacked by one of the rehearsal puppets. After we had done the research on various creatures and chosen the three that we would be focusing on for the first workshop, I thought that my role in the show was done. I didn’t expect to be needed at rehearsals, or have things to contribute. I was surprised and excited to learn that there was a lot more for me to do and work on. Rehearsals were some of the most fun parts of my week, as I took notes, looked things up, and gave opinions on the work that was being developed in front of me. The happiness and sense of play among the actors was inspiring and fun to watch, particularly once the rehearsal puppets began to be used and things got a little crazy. The willingness to explore that I saw in rehearsals only made me want to find out more and more about such weird and interesting characters, and research obscure details like what Orkney seals smell like, and the weather in Lincolnshire during the 18th century. With the help of Google, anyone can be their own dramaturg. But most of us don’t get to trawl through the Internet endlessly about such a fascinating topic, and with such amazing people to support and add to the process. Working on Malevolent Creatures was always an interesting, funny, and occasionally terrifying experience. I’m really grateful that I got to fill a somewhat arcane position for such a new and exciting a piece. I’m literally counting down the days until we get to do it again. 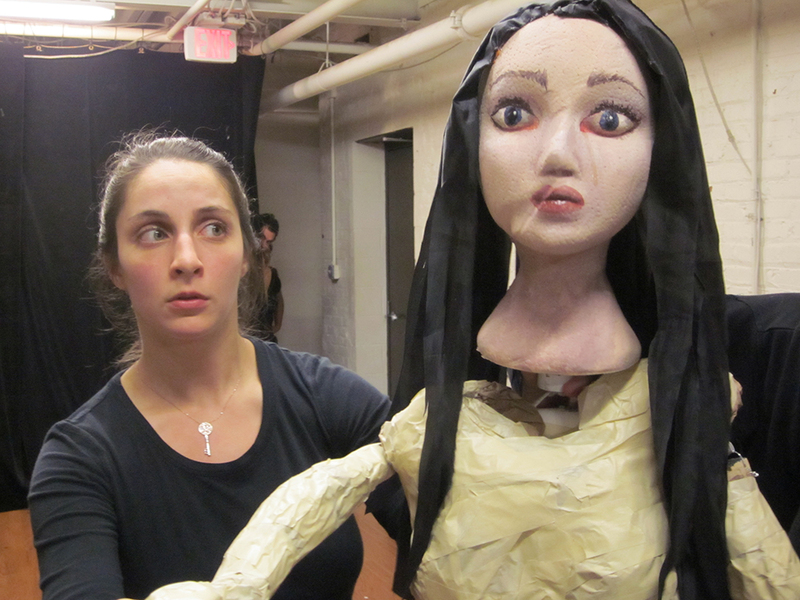 Puppets are not for the faint of heart. Photo by Patricia Germann. We had a fantastic two showings of Malevolent Creatures a few weeks ago. 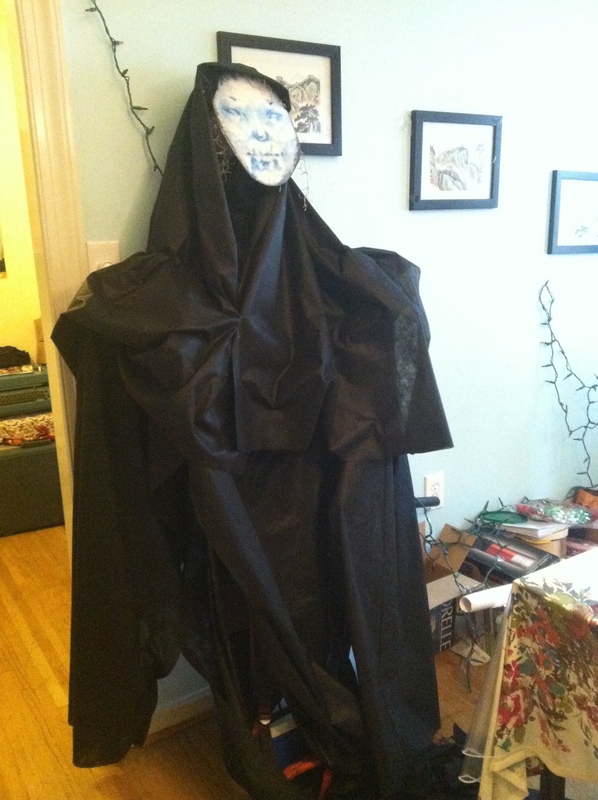 If you were unable to join us, here are some photos of the puppets and the process. Check back soon for more information about the next development stage of this show!